Mark Saltzman began his career in N.Y. with Jim Henson, writing for the Muppets. His Sesame Street sketches and songs (including Caribbean Amphibian) earned him seven Emmy Awards. But behind Kermit’s back, Mark was writing cabaret shows and musicals that played at The Ballroom, Soho Rep, 13th Street Theater, and the Village Gate, where he co-wrote the long-running revue A, MY NAME IS ALICE.For network television, Mark WROTE MRS. SANTA CLAUS, the holiday musical starring Angela Lansbury with songs by Jerry Herman. For the movies, he wrote THE ADVENTURES OF MILO AND OTIS and THREE NINJAS KICK BACK and has written screenplays for Sony, Universal, and Disney. His TV movie, THE RED SNEAKERS, directed by and starring Gregory Hines, aired on Showtime in 2004 and was nominated for a Writers Guild Award.Mark’s musical play, THE TIN PAN ALLEY RAG opened at the Pasadena Playhouse in 1997 and was nominated for five Los Angeles Ovation Awards, including Best Musical. The show continued on to The Coconut Grove Playhouse, Goodspeed, and The Cleveland Playhouse. In July of 2004, it was presented at Fullerton (CA) Civic Light Opera – the try-out of a Rodger Hess-produced New York version planned for 2005. Mark’s stage musical, ROMEO AND BERNADETTE, played at the Coconut Grove Playhouse in Miami and New Jersey’s Paper Mill Playhouse. His play, MR. SHAW GOES TO HOLLYWOOD, based on the 1933 visit of George Bernard Shaw to the MGM studio, premiered at the Laguna Playhouse in April 2003. His play CLUTTER, had its world premier at the Colony Theater in Burbank on February 7 of 2004. Saltzman’s play Rocket City had its world premiere in April 2008 as part of the Alabama Shakespeare Festival’s Southern Writers’ Project, which has a mandate to encourage “plays that delve into Southern issues and the African American experience” and to contribute “nationally significant works to the American theater canon. In 2002 he adapted the musical classic SHOW BOAT for a Hollywood Bowl performance.Mark is proud of his ongoing role as a mentor in the Blank Theatre Company’s Young Playwrights’ Festival, held annually in Los Angeles. 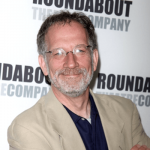 He is an artistic associate of the Colony Theatre Company and president of the Arnold Glassman Fund, a charitable foundation that provides grants for film and theater projects. Mark is a graduate of Cornell University’s English and Theater Departments.